We can't wait for 2019 - this is going to be OUR year! Thank you for all your love and support during 2018. I think this was probably going to be one of the hardest posts that I was going to write, just wasn’t sure if I wanted to post it. It all seems a bit surreal that 2 years, 4 months and 3 days ago our Baby Girl was diagnosed, and the worst two years of our lives were to be lived out. I look back and think about that time and it still hits me like a tonne of bricks, although the feeling in the pit of my stomach has somewhat lifted. I wish that feeling on no one. I know we couldn’t have got this far without the love and support of our friends and family, our loved ones have been there for us since day one and we needed them, to have such support has got us this far and will get us further. Also, all our extended friends, I think I have read every message on social media and have seen every like, there has been hundreds, you are all fantastic and we thank you all from the bottom of our hearts. A special mention must go to Tracyann’s Mum and Dad and my Mum. We would not have done this without you. You quite simply have been a rock to us, always there when we needed you. I can’t really find the words. We have laughed, cried, done both at the same time, there are plenty of stories that I remember to get through the day (slept in cars (me) and falling of chairs due to shear exhaustion) and would do it all again in a heartbeat for our girl. It’s called survival instinct, I didn’t know it existed until 2 and half years ago, but you find this inner strength that you function on, you must. There are two people that out do me on inner strength – Tracyann and Amelia. Tracyann has shown strength that I didn’t know existed within a person, as a Mum she has been pushed to the brink, yet, she found the strength to not only save our daughters life through being a Mum but also found the time and the strength to be a Mum to Oliver – my heart goes out to my wife, you have simply been superhuman, thank you. The NHS medical teams along with Tracyann saved our daughters life – it’s that simple. 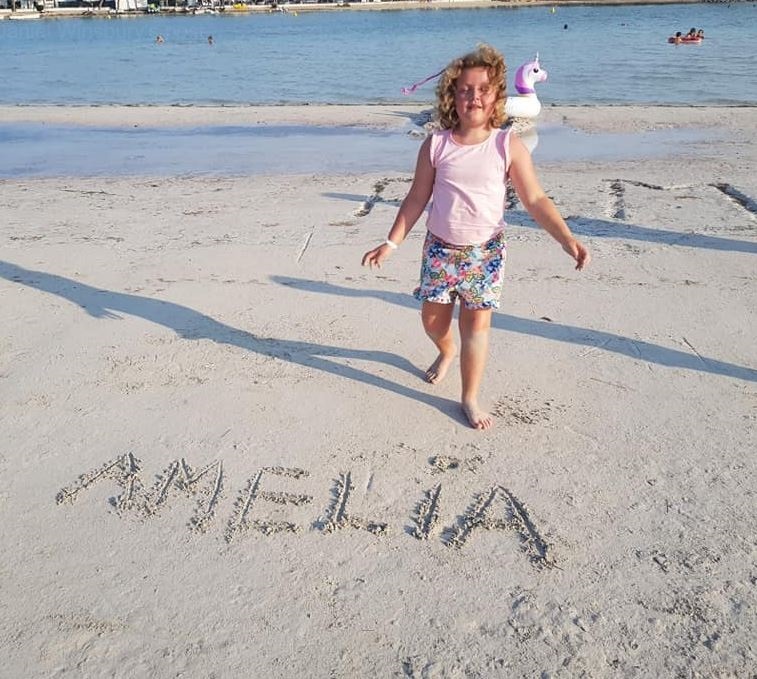 I don’t know how close we were to losing Amelia in the first two weeks in St George’s Hospital in London, but I know that we would not be in the position we are in now without them. I also know that we are fortunate, when I say that, I mean that there are a lot of other people/families out there that are far worse of than us. But the NHS are a fantastic asset to this country, especially at the level we were treated at, I can’t speak highly enough of Pinckney Ward at St George’s Hospital and The Oak Centre at The Royal Marsden. 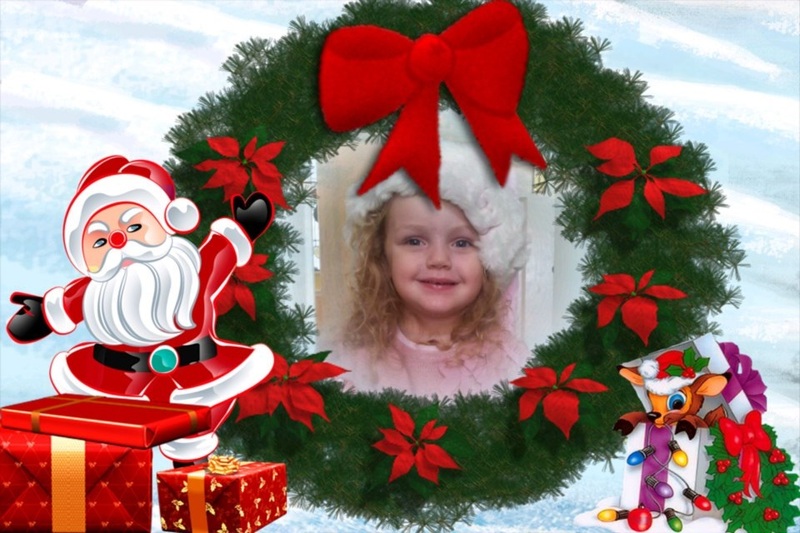 Well, what can I say about this most amazing little girl. You just amaze me every single day, to see how you have come through this Amelia, is just a shear credit to you. I’m not sure how you have done it, I don’t think I could of. You have life skills that can’t be taught, your strength and determination along with you sense of humour, kindness and shear bloody mindfulness will set you up for a wonderful life, and, my darling, you deserve it, every single second. You have every asset that you need to reach for the stars. I’m so proud of you my sweetheart. There is one little man that we need to mention, that’s our Oliver. You, my big man are everything to us three. You have made us laugh when we needed it, cuddled us when we needed it and you have been wise beyond your years. Like you sister (Mella) you have attributes that will take you far in life. We are immensely proud of you and you should be proud of yourself. I can’t write much more of I’m being perfectly honest. There will be some bloods taken for the next couple of weeks, this is to ensure that the bloods have balanced out, the last 4 months have been balanced (Spot on Tuesdays) so this is no real concern. Check ups for the first year will be every 6 weeks (alternating between QEQM and Royal Marsden), in the second year this goes to every 12 weeks. Third year extends out and handed over to a long-term plan. In the meantime, were going to Enjoy Life, Love Living! Once again, thank you all so much for everything you have done for us. One final note, thank you for reading these bloody blogs! It’s funny I use to think why anyone would want to sit and write about stuff and put it on the web, well now I know. This has kept me sane in the last 2 and a bit year. It’s also been quite a success as I do post it in other areas and I have received messages from all over the country. I will keep the blog open for now, well you want to see the America pics, don’t you? I'm starting this post on a truly sad note, as many of you will know, Tracyann's Mum - Georgina passed away on Friday 21st September. It really has been a difficult time for us all, but for Tom, Tracyann and Darren it's been extremley tough. It's so very difficult seeing your loved ones go through such heartache. What makes it even harder is that Georgina has played a huge part in supporting Tracyann through Amelia's illness and to not see that through just seems totally unfair. I knew already that Amelia gets her strength from her Mum, but this just confirms it. It's just one day at a time at the moment. Today, was a bit surreal - the last Vincristine and Steriods (grumpy meds, as Oliver calls them) week and the last visit to the Royal Marsden in treatment. I woke up feeling excited, nervous, tired and happy! Wow! Get through this week and then finish on 18th October. So we arrive at The RM and we do our usual ritual and we soon get called in to see Dr Elsje - she is all smiles and so is Amelia, we are there, one week to go on these meds, then 3 more weeks on anti biotics to help the immune system and DONE! 14 DAYS!!!! To be honest this is great news, as I know from Amelia being on ALL 2011 trail that she has had "too much" Vincristine (chemo) basically if you remeber when Amelia first started treatment we had to decide on wheather to put Amelia in for the trail treatment plan, we went for this and the randomiser slected a course of treatment that included more frequent Vincristine (all a bit complicated). So thats it - no more Vincristine or Steriods! Amelia was examined and we had a good conversation about the next steps for end of treatment. And we came home with a really surreal feeling. 14 days to go - she is nearly there guys, she is nearly there. 37 days, penultimate Vincristine and the last at QEQM, whatever milestone we want to use, it's getting close to the end of treatment. There will be lots of different milestones now, just marking the last of this, the last of that, just surreal really, 2 years and 3 months ago *big sigh and blurred vison*. 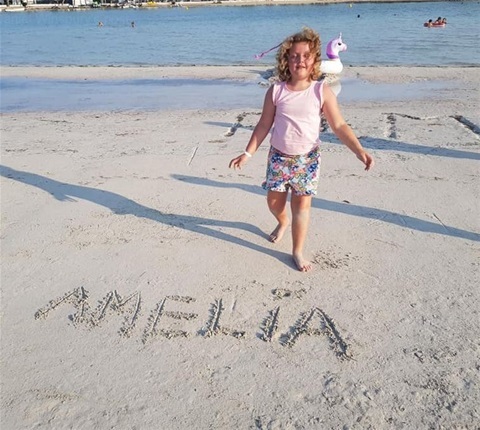 I'm not sure how Amelia's feeling if I'm honest and perhaps I have not written enough in this blog about Amelia's feelings, to be honest it's very difficult. Not to write down but to read an 8 year old's mind and what is going on inside espically if she doesn't feel like talking. This is something we, as a family, will work through in our own way and use the support if we need it. I just want to make her smile. Firstly, let me apologise, I was meant to update the blog before we went on holiday and after our last trip to the RM, however holiday mode caught up with me and before we know it we were on the plane! So our last visit to the RM was on 12th July and Amelia's consultant Dr Elsje van Rijswijk fully examined Amelia studied all the results (this is obviously done before we get there) and was really happy with Amelia's progress, including the Parvovirus which is completely gone from her body. Hearing Dr Elsje report after seeing Amelia is always a welcoming and comforting, she's the boss and we a pretty much governed by her, even at QEQM they always consult with the RM and if the local RM doctor doesn't know then it's onto Dr Elsje, these professionals are amazing at what they do and we are so very lucky to have the best in the world at The Royal Marsden. Tracyann and I had already had the discussion before we arrived at the RM about raising the subject of the protocol post 18th October - Amelia’s end of treatment date. We had a whole host of questions and I wasn’t sure weather this was the right time to ask, but asked we did and I have to say Dr Elsje was most accommodating, we knew she would be but we are going into unknown territory so we were not sure that the answers we were wanting, we were going to get. However, we were very pleased of the outcome. Basically on the 18th October all chemo stops! Amelia will have some anti biotics for a few weeks to support her immune system, there is then some protocol stuff to check that the body is ok, basically has the chemo damaged anything. The check-ups for the blood go from a current weekly to a 6 weekly. Of course we will get a full run down when we go back on the 4th October – now that’s a different story! Some of you may know that the 4th October is Amelia’s birthday and she has an appointment for chemo (Vincristine) we had known this back in 2016 – the dates don’t change, however we hadn’t told Amelia but Amelia knows how to read her medication card, so when we told her, she said “Yeah, I know”, well me and Tracyann just looked at each other and we could tell what each other was thinking – does this girl get any braver, her courage is that of 100 lions let alone 1. So when Amelia turns 9 in October she will have Vincristine – FOR THE LAST TIME. So we left the RM is a buoyant mood and this set us up for holiday very nicely. I probably broke the speed limit on the way to the airport – I couldn’t get there quick enough, believe me, this was a much needed holiday, we were off to Majorca for two weeks! We had an amazing time, it was great to spend time with the family and Amelia and Oliver loved having their cousins around them all day, I’m sure at one point Amelia spent at least 7 hours in the swimming pool in one day. Before Amelia was diagnosed, she was doing well with her swimming, we weren’t going on a weekly basis but was trying to go at least 2/3 times a month, however this has pretty much been non-existent since June 2016, this has impacted not only on Amelia but Oliver as well, basically Amelia was either Neutropenic or not strong enough and when we did go it wasn’t consistent enough to get her confidence up. However, two weeks in a swimming pool has kicked the last two years right in the back side! Amelia is now underwater diving and swimming in short (5/6 meter) spurts! Well done Amelia. It really was an amazing holiday enjoyed by us all, memories that will last a lifetime. We returned home with a bit of bump to be honest, we landed on the Friday and Amelia was due chemo on the Monday, so reality did hit home. The 4 week Vincristine at QEQM, this is the one where it wipes Amelia out for 5 days, so there have been a few pyjama days, good old Netflix! Facebook memories have been an interesting read over the past couple of months from two years ago, some of it I have actually forgotten we done as everything was a blur but seeing the photos and states pop up are quite humbling, my family and friends still amaze me, thank you. So 58 days until end of treatment, doesn’t seem real if I’m honest, doesn’t seem long ago we were at the start of this journey and now I feel we are on the downhill slope to the finish line, couldn’t of done it with out you.